It’s not surprising to see that bitcoin apps are becoming increasingly popular. All over the world, people are using this cryptocurrency and digital payment system. Let’s take a look at the best Bitcoin apps out there! Mycellium is one of the best wallets out there. 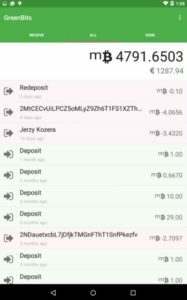 With this app you can easily send and receive Bitcoins using your mobile phone. The app has unique features to manage your keys. It allows for cold-storage integrations with hardware bitcoin wallets like Trezor or KeepKey. Copay is an open source, multi-signature wallet from BitPay. The Multi-signature technology allows bitcoin wallets to be controlled by multiple private keys and users. Authorization of each transaction can require one, some, or all of these private keys. Coinbase is one of the most popular Bitcoin exchange services used globally where merchants and consumers can transact with new digital currencies like bitcoin, ethereum, and litecoin. Breadwallet is open source and user-friendly wallet. Their core design principle: easy and intuitive for anyone to use makes it a great option for anyone getting started with Bitcoin. Airbitz is an easy to use bitcoin wallet. It is completely decentralized which means neither the company behind it nor any third-party can access your money or data. 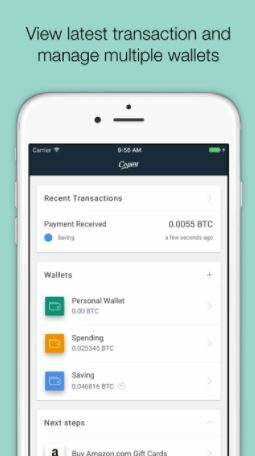 Bitcoin Wallet is the first mobile Bitcoin app. With this app you can quickly pay by scanning the QR-code. GreenBits is a fast and easy to use wallet that supports multi-signature features and has strong security and privacy features. BitPay is a free and open source app which with you can buy, convert, and spend your bitcoin. 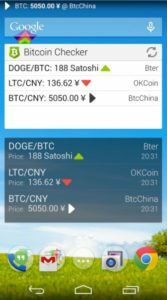 Bitcoin checker is an app for monitoring the major cryptocurrencies from more than 80 stock exchanges worldwide.